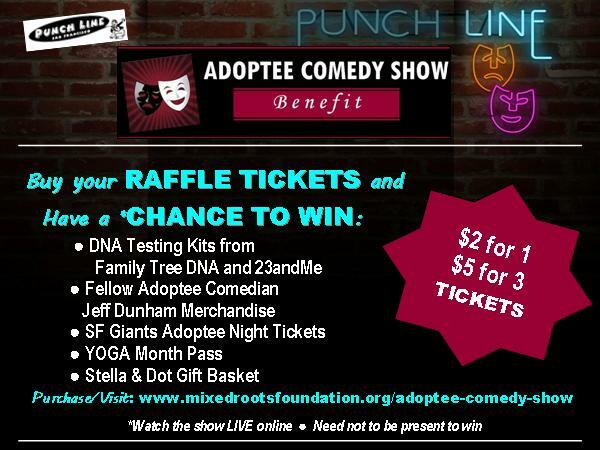 The non-profit Mixed Roots Foundation is sponsoring an Adoptee Comedy Show on May 21st - this Monday night - in San Francisco. 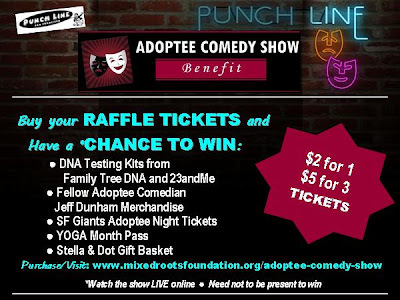 As part of their raffle, they are including two Family Tree DNA kits and three 23andMe kits. These kits were generously donated by the respective companies. Anyone can participate and you don't have to be present to win. A portion of the proceeds from this raffle will benefit the Filling in the GAGP Fund which will help to offset the costs of DNA testing for adoptees. 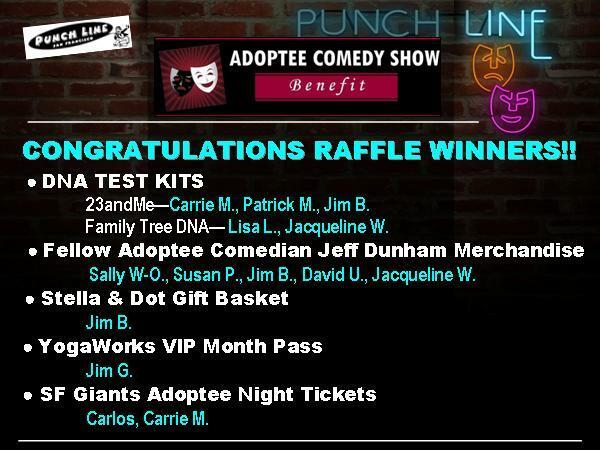 The deadline to purchase raffle tickets is 5pm PST on May 21, 2012. You can watch the show live tomorrow night here.